Hey Guys… sometimes when you are trying to create a backup maintenance plan and the database for some reason doesn’t appear in the Database Box, you have to check it out what is the compatibility level in the Database. By design, Maintenance plans only works in compatibility level 80 or higher. So, if the database is in comp. level 70 or lower, the maint. plan won’t work. This happens principally after a migration from SQL Server 6.5 or 7.0 to a SQL Server 2000 or higher and you don’t set the compability level to a new value. 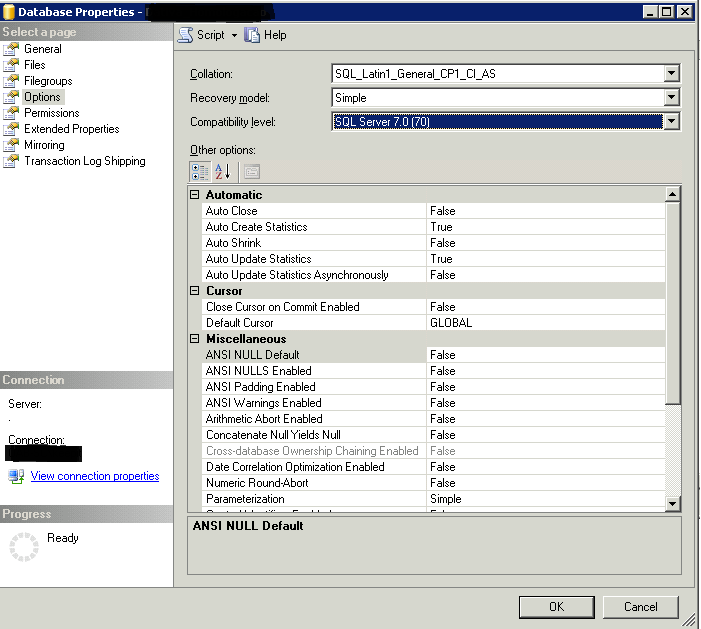 Posted on October 10, 2011, in Administração, VirtualPass and tagged Database doesn't appear in Maintenance Plan, Maintenance Plan, SQL Server, Virtual PASS. Bookmark the permalink. Leave a comment.